A new kid at the stretch of shophouses along Tanjong Pagar Road is The Wall. 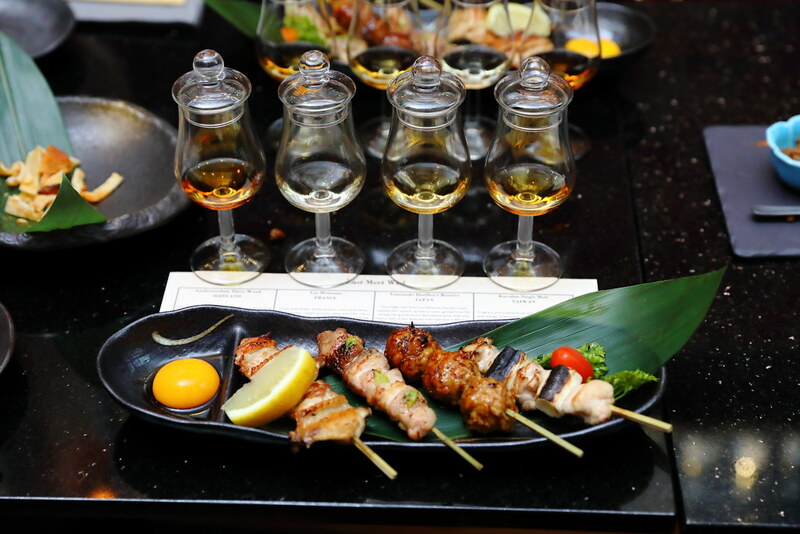 It is a Whisky and Sumiyaki Bar that seeks to make Whisky drinking friendlier, approachable and more enjoyable. In short even the novice can enjoy it. 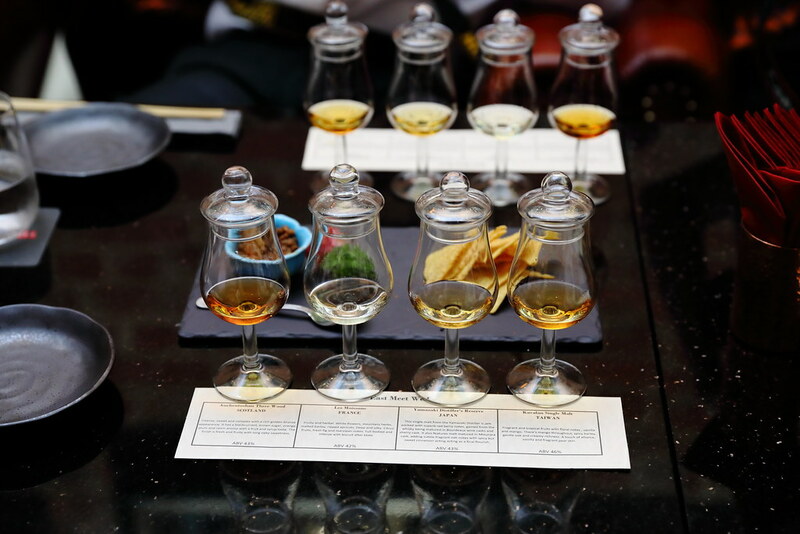 The best thing is it comes with a comprehensive full sumiyaki menu to go with the water of life - whisky. Before starting on our introduction to the world of whisky, we settled in with some munchies. 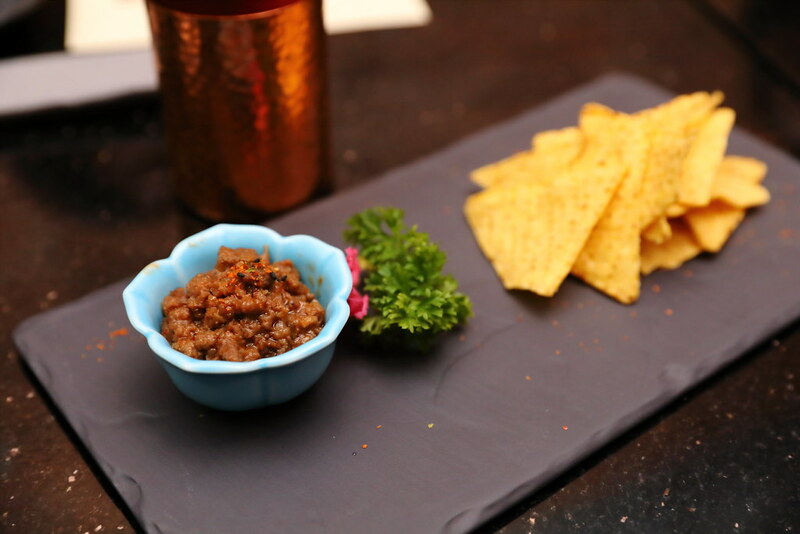 First we have the Miso Nachos ($8) which is actually salted bean nachos with minced beef. The saltiness of the miso elevated the flavour of the beef and this goes well with crunchy nachos. The Eihire ($15) is a very addictive snack. I could not help going back for more of the grilled skate fin. The more I chewed on it, the more the flavour perfumed the whole mouth. After checking in to a few snacks, we board our Flight - East Meet West ($37) to discover the treasured flavours of fusion. The 4 whisky we tried are Auchentoshan Three Wood (Scotland), Les Moissons (France), Yamazaki Distiller Reserve (Japan) and Kavalan Single Malt (Taiwan). With an addition $12, you get 4 skewers (Chicken Wing, Chicken Thigh, Homemade Chicken Ball, Chicken Thigh & Leeks) to go with the whisky. 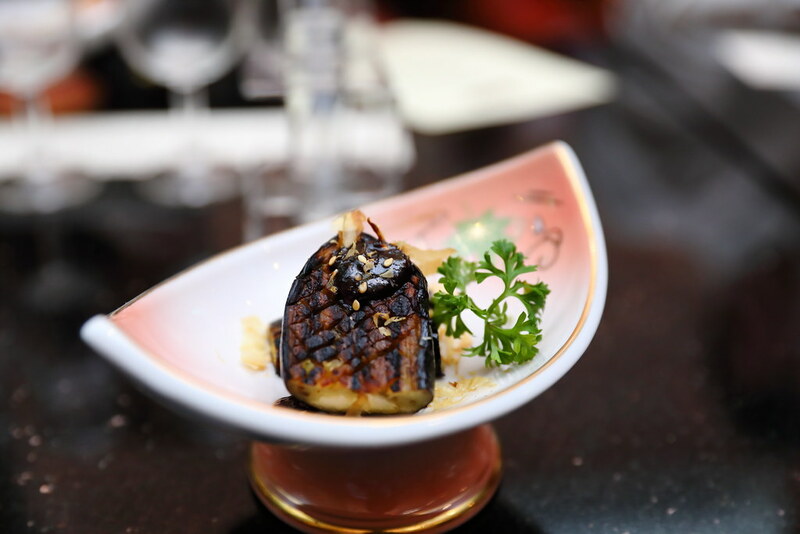 I always thought that eggplant is mushy but I have to say the Japanese Eggplant with Miso has changed my mind. It was actually crunchy with a nice coat of sweetness and smokiness. One of my favourite items is the Japanese Capsicum & Minced Chicken ($6). 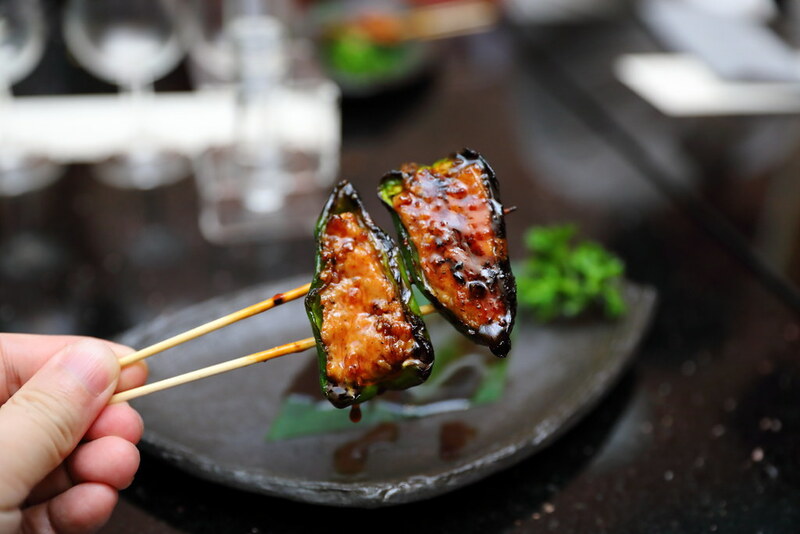 The flavoursome stuffed minced chicken with cartilage gives it a nice crunchy texture while the yuzu peel refreshes the palate. Simple but yet a lovely combination of flavours and texture. You don't even know that you are having capsicum. 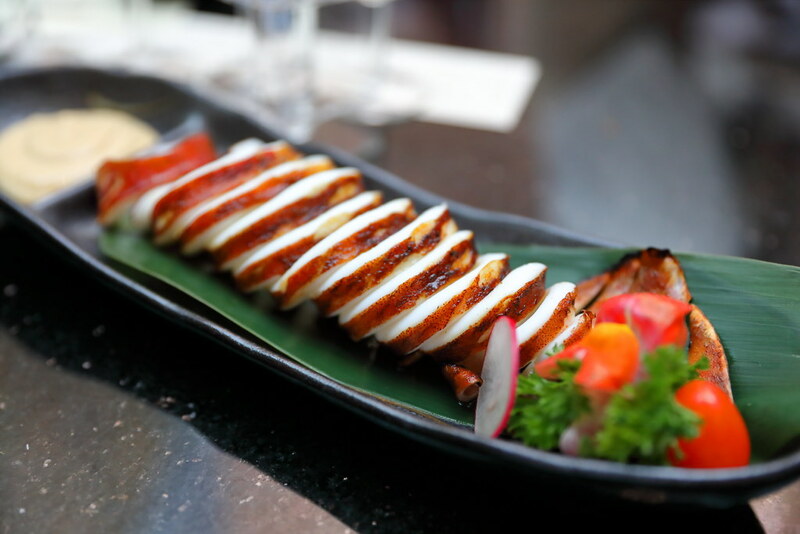 From the sea, we tried the Grilled Squid which is perfectly grilled retaining that bouncy texture. 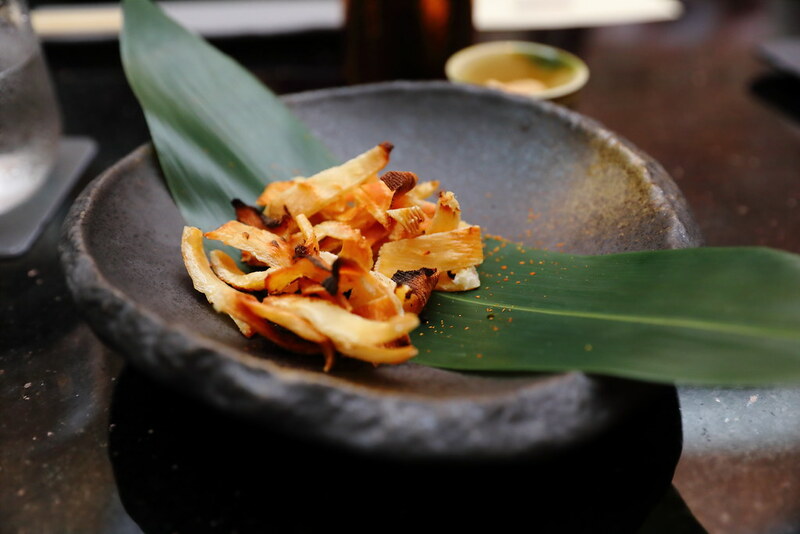 Dip it into the yakitori and grated ginger sauce for a lifted appreciation of the squid. 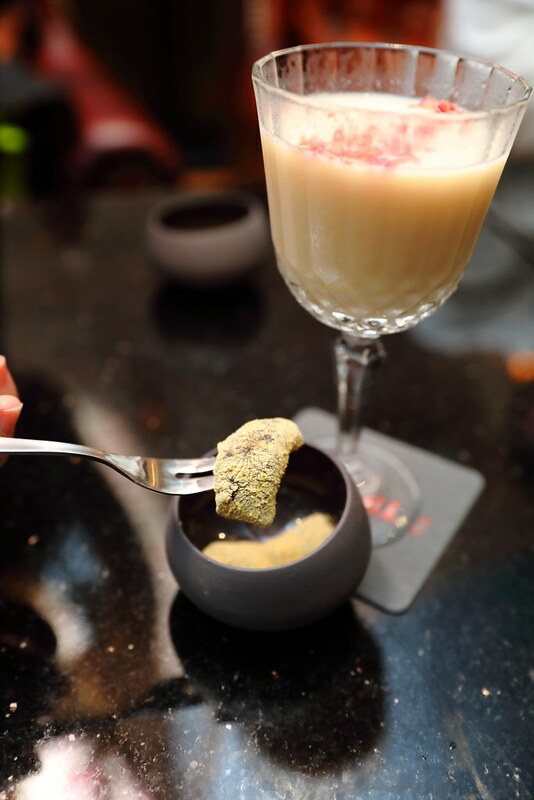 If you find that whisky is too strong for you, the bar actually offers a concoction of whisky cocktails showing its versatility. I tried the Teochew Heritage ($22) which is inspired from the local almond jelly dessert. The cocktail really stood out instead of being gimmicky. It has the characteristic of the local inspired dessert and more important, it tasted great. Before touching down, I was served the homemade Warabi Mochi that was so soft and pillowy, just like the clouds I saw on my flight.